2011 October | No-Scalpel Vasectomy International, Inc. Inspired by the success of the mission to Plaisance and the willingness of Pastor Myrtil to lead another, NSVI made plans to return directly to Plaisance in October. Pastor Myrtil was scheduled to be in Pilate and Plaisance in October to work on his other mission, the Duvivier Project, with supporters from a church in Indiana. Drs. 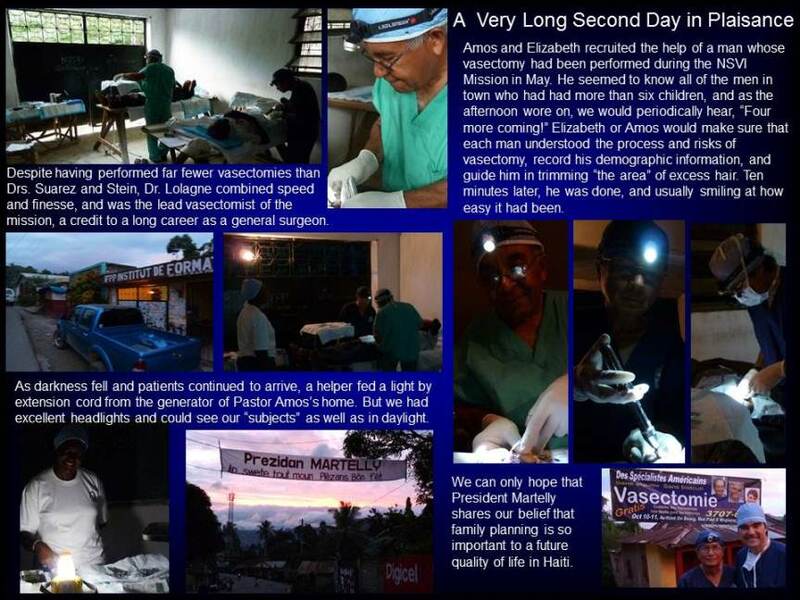 Stein and Suarez would return to Plaisance after Amos had been in Haiti for enough time to set up a location and spread the word that free vasectomies would be offered October 10 & 11. They would save transport time by taking IBC Airways nonstop from Ft. Lauderdale to Cap Haitien, where Pastor Myrtil would pick them up for the two-hour drive to Plaisance. Orlando Pediatrician Dr. Ted Kaplan (who introduced Drs. Stein and Lolagne to each other) offered the assistance of his organization, the Cap Haitien Health Network (CHHN). In fact, his Haitian-American wife Elizabeth would accompany Drs. Stein and Suarez on their flight from Florida to Cap Haitien. Dr. Lolagne and his surgical assistant Lisette offered to drive Elizabeth and any other CHHN staff from the airport to Plaisance. And thus began the Third NSVI Mission to Haiti. 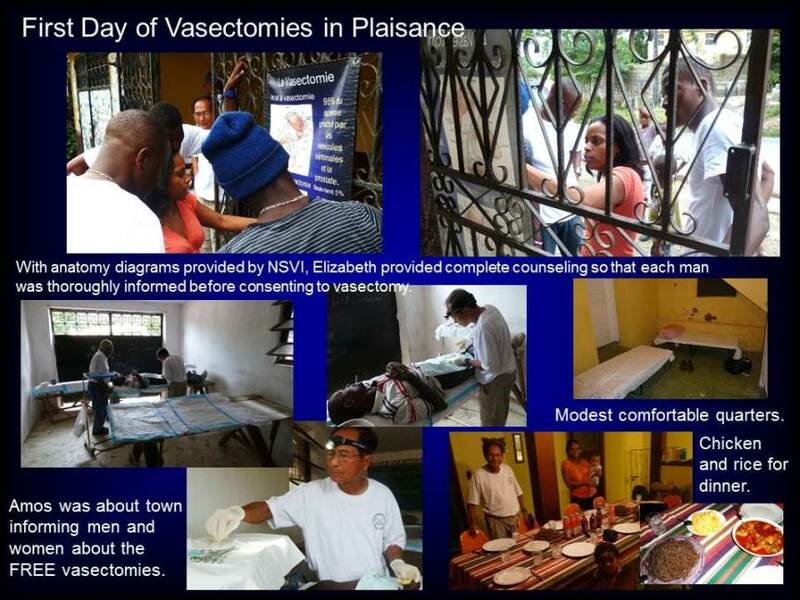 During this second mission in Plaisance, the NSVI Team performed 44 vasectomies, up from the 32 performed in Plaisance during the mission of May 2011. 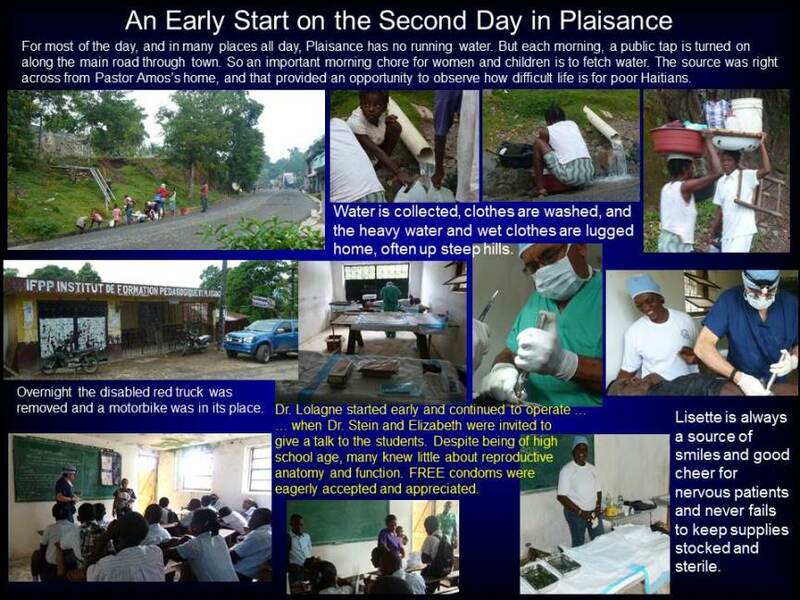 We have every reason to believe that the numbers performed during future missions will continue to rise as the men and women of Plaisance enjoy the freedom to nurture the children that they already have without concern for unwanted pregnancy and the burden of too many children. 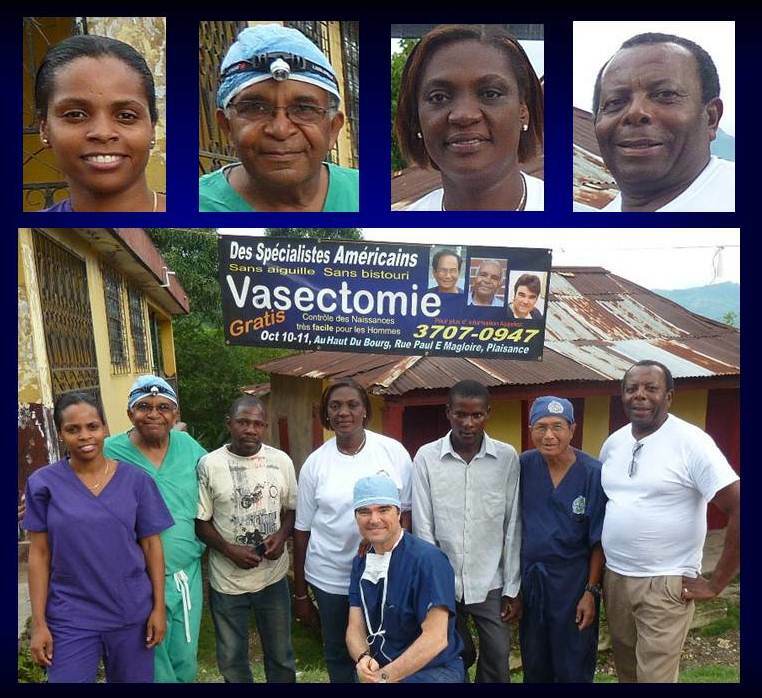 Without the dedication and assistance of the Haitians and Haitian Americans who share our vision, these missions would not be possible and the families of Plaisance would not have the option of quality dependable male-oriented contraception. NSVI gratefully acknowledges the contributions of (below from left to right) Elizabeth Kaplan, RN; Fritz Lolagne, MD; Lisette Jean-Paul, Surgical Services; and Pastor Amos Myrtil.